Behind the quick laugh caused by internet meme, there is a profound lesson to be learned about what makes us human—we are the ultimate knowledge sharers. Two of the things that make our species special is our collective intelligence and our cumulative culture. Our intelligence is collective because we live in large social networks. From avoiding the misery of boredom and isolation to solving complex problems, we actively seek to learn from others in important ways. Our culture is cumulative because we are born into highly constructed environments full of amazing gadgets like language and literacy. Without language, our entire species would be plunged into a perpetual and horrifying version of charades. We didn’t create these things, we inherited them. More precisely, we learned them. We accumulated whole swathes of cultural packages from our ancestors and the large, collective intelligence of their communities. Everything from fire-making and food processing techniques like baking and milling to hunting techniques, religious rituals, military technologies, and gender roles is a product of cultural evolution. These cultural gadgets were modified and refined over many generations to provide some of our most powerful tools for success in our natural and social environments. How should we study culture? How do we come to inherit culture? 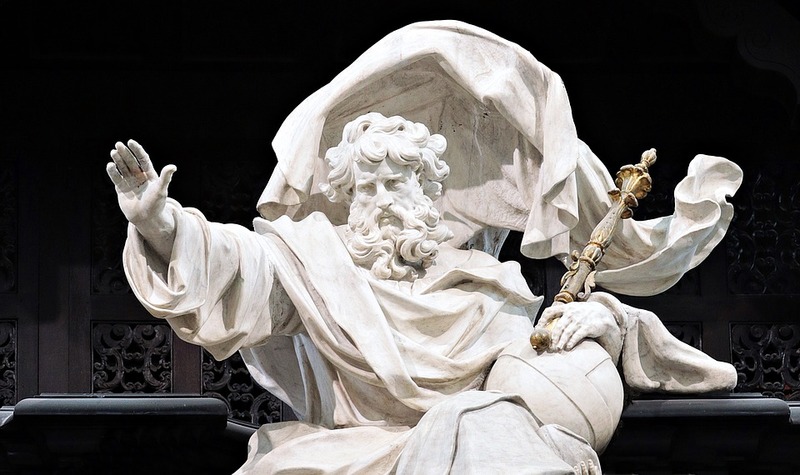 Can the study of culture be Darwinian? 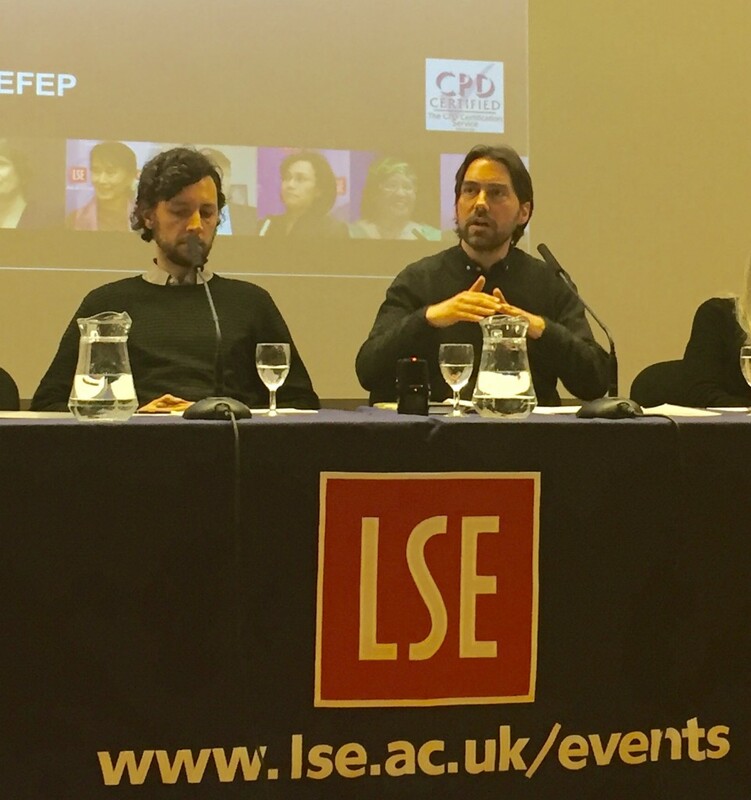 These four questions provided the structure of a discussion that I attended Monday night at the London School of Economics (LSE) entitled ‘Darwinism and the Social Sciences’. Addressing these questions were three professors: Exeter’s Alex Mesoudi, Cambridge’s Tim Lewens, and St. Andrew’s Christina Toren. As one might expect about such a broad topic, the conversation between these scholars ranged widely–Lewens reflected on how he learned to cook kedgeree and Toren provided an eyebrow-raising anecdote about how one particular group’s cosmology was thought to be ‘shitted out’. Despite this range of topics, there are several central points worth summarizing. To me, three of the best quotes of the night came from philosopher of science Tim Lewens. As it turns out, avoiding a reference to Donald Trump is an impossible task! Finally, Alex Mesoudi concluded by explaining his long-term commitment to interdisciplinary approaches across the social and physical sciences, an approach that is very sympathetic to the goals and orientation of Seshat: The Global History Databank. As the questions from the audience made clear, many walked away from the event with a better understanding of why the study of cultural evolution is essential to explaining what it means to be human. 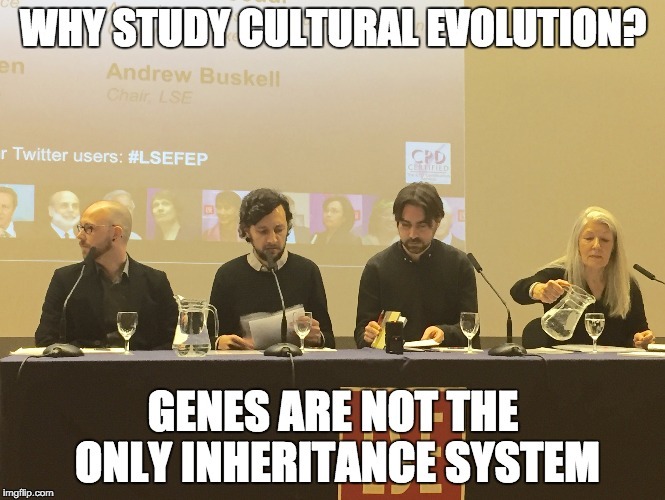 Listen to the entire discussion on LSE’s website here to hear a discussion about the analytical utility of the category of “culture”, cultural evolution’s similarities with biological evolution, gene-culture coevolution, developmental systems theory, ethnocentrism, and much more. [Tim Lewens 1:16:52-1:19:02] I think it really important to be quite clear about where these cultural evolutionary theories are on their strongest ground. I think that by-and-large what they are trying to do […] is to step a very long way back and take a very high-level view of long periods of human history and start to ask very big comparative questions. Questions like, “Well, since on the face of it there are big risks to be had from learning from other people, why is it that we are able to do this at all? How come our species got to be so good at accumulating large bodies of know-how whereas others species can do it, but seem to be so much worse than we are?” And you can’t begin to ask those big questions about, roughly how we got to be so good at culture, sociality, accumulating knowledge unless you also start asking things like, “How’s a species going to change over time? What’s going to happen in a species if that species is able to learn? What are going to be the pros and the cons of those ways of learning?” So that’s why cultural evolutionary theorists need to a way of integrating culture into evolutionary models. Its in order to ask these big questions about why humans are different from other species. Now, even if cultural evolutionary theorists are really good at providing answers to those kinds of questions, “How come we got to be so good at culture in the first place?” It does not follow for a minute that they’ll also be good at saying things like, “How come we have Donald Trump?” It doesn’t follow for minute that they’ll be good at answering questions like, “How can we explain the demise of the trade union movement in the UK?” Different questions at different grains of analysis need quite different kinds of answers and cultural evolutionary models are often in the business of giving very broad grain answers to very broad grain questions and then you start asking finer grain questions they don’t do so well. [Tim Lewens 29:09-34:37] Its not always the case that when we think about culture or evolution that one has to think about this in terms of a distinct inheritance system. I mean, I’ve already alluded to that in a way. The sense that culture is something that you can study on its own, separable from aspects of physiology and anatomy is one that you might want to problematize. Running gait, for example, is that a matter of culture or the matter of a natural trait. Its very unclear how we decide that. These issues about applying evolutionary thinking to cultural change or social change have gone back a very long time and people have thought about them in a markedly different kinds of ways. So, I mean Alex has already mentioned Darwin. If you look back to Darwin’s work on what he called the human moral sense in the Descent of Man, Darwin was very keen to give an evolutionary explanation for the ways in which we interact with each other and particularly for the ways in which we interact and conceive of each other in ethical terms, particularly interested in the ways in which we tend to sacrifice ourselves for other people even when those others are not related to us. Now, in the Descent of Man, for sure, Darwin tells a story about how it is that we come to acquire these forms of moral behavior, how those forms of moral behavior become more and more elaborated over time. But, Darwin’s story there is primarily a gradualist one. For Darwin, evolution in its most general sense is a matter of small steps taking place over very large historical periods. Its not always a matter of the action of natural selection. So when Darwin talks about the evolution of the moral sense, sometimes he is indeed he is talking about natural selection acting on individuals. Sometimes he is talking about natural selection acting on groups of humans, particularly he thinks warring against each other. But sometimes natural selection is just not a part of the story at all. Instead its about communication, brining about gradual changes in moral norms in particular societies, feedback loops as people learn what works and what doesn’t and as those things that work become more taught more broadly in the population. So, for Darwin the main way he thinks about cultural evolution is simply gradual processes, whether it involves selection or not. Of course, more recently modern theorists have done something rather different. They’ve begun to talk in the way that Alex has done. So they’ve said things like, “Well, we know that in the organic world you have organisms that vary in terms of their fitness. They can pass valuable traits onto their offspring and in that kind of way, it doesn’t matter what species your talking about, they can evolve over time”. But some people have said, “Well human culture has a similar set of features as well, so that it makes sense to talk about natural selection acting on cultural entities too. You’ve got variation because, after all, there are many many different tools on the market. Or, there are many many different beliefs on the market. Some of these tools do better at making copies of themselves than others. Or some of these beliefs do a better job of persisting into future generations than others do, depending on how attractive people find them or how useful people find them.” And so the thought goes, in that way, something like natural selection can act on cultural entities as well. Whether we are talking about skills. Whether we are talking about artifacts. Whether we are talking about ideas, beliefs systems, scientific theories, it doesn’t really matter. In every case you’ve got variation and in every case you’ve got differential survival because what was around in great supply in the 1940s may not be quite the same as what’s around in great supply right now. And bang! hey presto!, there you’ve got a full-blown theory of cultural evolution. […] I think that we should agree that in some sense there is something much like natural selection going on in the cultural domain. Where people will jump in and start causing trouble for these kinds of views is they say, “To what extent does the analogy really run close? Between what you might think about as classic genetic evolution on the one hand and these cultural processes that I’ve mentioned on the other.” And there certainly are some disanalogies. So when Darwin used to set up his kind of illustrative example of natural selection in the Origin of Species, he would often mention wolves. So, a baby wolf has two parents and all baby wolves will have two parents and any baby wolf that you like will have inherited its genes from two different parents. Now, its not so clear that we when you talk about cultural traits you can assign to them a nice neat stable number of parents in the same kind of way. [Alex Mesoudi 1:12:03-1:13:55] Interdisciplinarity. If you’re interested in explaining historical change, then history and archaeology are the disciplines that you have to start with. My point about interdisciplinarity is that often historians and archeologists go about their history and their archaeology in a way separate to other disciplines. So my own background is in psychology. I did my undergraduate down the road at UCL. I did my PhD up in St Andrews in psychology. Then I went to work with an archaeologists over in Missouri where I was running lab experience simulating archaeological change. I was getting people to design arrow heads and copy the arrowheads. So we were trying to use principles from psychology about social learning and who people learn from. Do you learn from the most successful arrowhead maker. Do you go for the most popular arrowhead design in your group. Do you just ignore everybody else and use trial-and-error, instrumental conditioning, using these psychology ideas to try and explain, or simulate in the lab historical change. So that’s what I was trying to get at: this idea of using different, not just having lots just different disciplines all working on their own separate problems with their own separate theories, but trying to work together, Trying to cross disciplines with methods and concepts. For me, a broader evolutionary perspective kind of lends itself to that cross-disciplinary fertilizations because that;s what biologists do. They have an overarching theory of evolution. And then you’ve not palaeobiologists who study the fossil record. You’ve got lab people who study drosophila or E. coli. You’ve got field biologists and so on. They’re all each working on different bits of the picture. Whereas in the social scientists I think its completely different. People working in different silos, which I think is a shame. Your title suggests that have some kind of beef with memes. However, if so, the body of your article doesn’t seem to explain what it is. after which, Dawkins himself kind of stopped talking about them. “Meme” is simply not a synonym for “idea”. A meme is, by most definitions, socially transmitted. Ideas need not be socially transmitted – you can have an idea all by yourself. Memes are a subset of ideas. They are socially-transmitted ideas. As for memes “dying off as a species” – um, have you been on the internet recently? The massive 2011 meme explosion is still going on. This mistake has been done before and in my opinion, it’s been done much worse, by bigger philistines. I read about memetics from Dawkins Selfish Gene. If anyone doesn’t know what a meme is, for God’s sake, don’t read Dawkins’s explanation. What he means by a “memes”, whether he knows it or not and whether Daniel Dennett can be conscious of it or not, is… ideas. That’s all. Go ahead and argue that Dawkins evolutionary model radically alters our understanding of how ideas are copied, how they change over time, how they evolve, but sorry, ideas were understood to be doing that before Dawkins or even Darwin. This is why memetics as a subject is now extinct. Just call memes “ideas”… and you’ll notice you’re speaking English with people ready to hear it. Instead of explaining the ‘blind-watchmaker hypothesis’ as you try to get to the point. He’s just really bad at humanities generally. Sorry. Now Tim Lewens is producing Memetics Strikes Back by creating Cultural Evolution and which is an adroit adaptation of Dawkins’s original folly. Describing cultural evolution as a process of ‘gradual changes’, he already complicates what he should be simplifying. Culture is regularly revolutionary – the English revolution, industrial revolution, the Chinese revolution. These events matter, their effects last and there’s nothing gradual about them. But evolution too, as can be seen from the fossil record is likewise punctuated, with sudden changes right across the whole ecology at each next geological layer. So it looks like this is a bad science ‘meme’ looking to infect otherwise healthy humanities subjects. So what did we have back in the days before cultural evolution? Well back when I was alive, we called it “history”; history of ideas, history of science, of art, of language, world history, and linking with archaeology and geology deep history, and so on. Some of us remember history. It’s absolutely not that it hasn’t been exhaustively researched. The problem is that some scientists are so reluctant to engage with it, they want to reinvent the whole thing, rather than pop their head into the next aisle of the library. Cultural Evolution, in plain English, is basically that: History. But I hear this is ‘an opportunity for ‘inter-disciplinary research’. Oh you don’t say? Really? 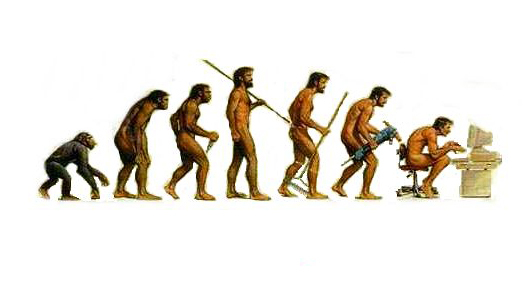 When I did a semester on genetics in my economics degree, I noticed a lot of the terms and models were borrowed from economics – “competition for resources”, “niche strategies”, “Nash equilibrium” etc… Darwin, writing in the industrial revolution, probably used the idea of the free market as his model for evolution. And now they’re going to sell the same models back? Well economics didn’t lose these memes when it replicated them for science in the first place. The other social sciences got their own copies too. What’s wanting isn’t an awareness of science in the humanities. Scientists are not the only ones who get evolution, they’re just the only ones who don’t notice they don’t run religious studies and political philosophy. In terms of inter-disciplinary gaps, what’s wanting is an awareness of how science has been influenced by economics, politics, religion, and so on. Luckily, the historians have their own term for this. They call it empire building. and the idea of ‘ideas evolving’ has become a whole new idea in itself, (I nearly stirred my coffee! ), I suspect we don’t need to study culture as a branch of evolution. We need evolutionary scientists to become cultured. Hi Tim and Dominic, thanks for your comments. Two things stand out to me in your replies. First, Tim asks if I have any criticisms of memes. The short answer is ‘yes’, memetics is quite problematic, but the internet memes I discuss in the article are ‘memes’ in the popular use of the word, so I didn’t need to mount a critique of memetics. Second, Dominic writes, ‘Now Tim Lewens is producing Memetics Strikes Back by creating Cultural Evolution and which is an adroit adaptation of Dawkins’s original folly.’ I disagree. Dominic, have you had a chance to look at Lewens’ new book, Cultural Evolution: Conceptual Challenges? In his early chapters (Introduction, Chapters 1 and 2) Lewens helpfully arbitrates some areas of common debate or misunderstanding by both cultural evolutionary theory’s proponents (e.g., Peter Richerson, Robert Boyd, Joseph Henrich, and Alex Mesoudi) and detractors (e.g., Tim Ingold, Maurice Bloch). In this section, he provides a concise and convincing refutation of the notion of cultural replicators (e.g., memes) and he dispatches the often-stated charge that cultural evolutionary approaches promote (implicitly or explicitly) or somehow rely on 19th-century notions of progress (e.g., Kuper 2000a; 2000b). If you are interested in work on how cultural evolutionary theory differs is marked ways from mimetics, I recommend that you have a look at Lewen’s short book. If you are familiar with this work and you still contend that Lewens is trying to repackage memetics, I’m curious to hear more about this.